The Semovente 105/25 M43 is one of the more advanced tank destroyers, built by Italy in the later stages of the war. 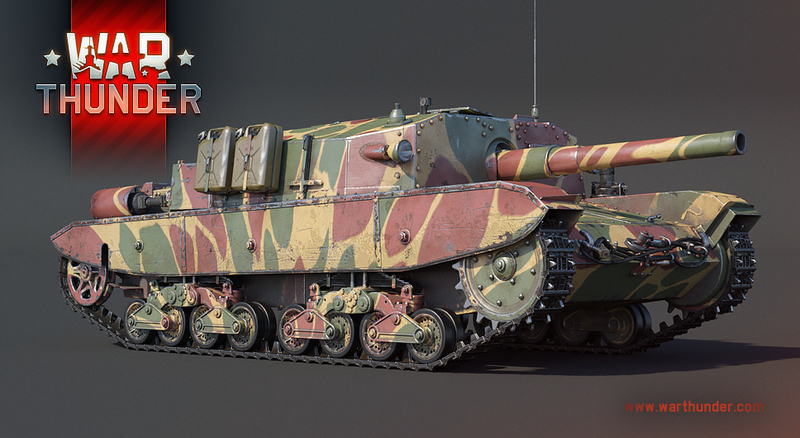 Soon, War Thunder tankers will have the chance to command the Semovente 105/25 M43 as they climb up the ranks of the highly anticipated Italian ground forces tree, coming to the game with update 1.85! 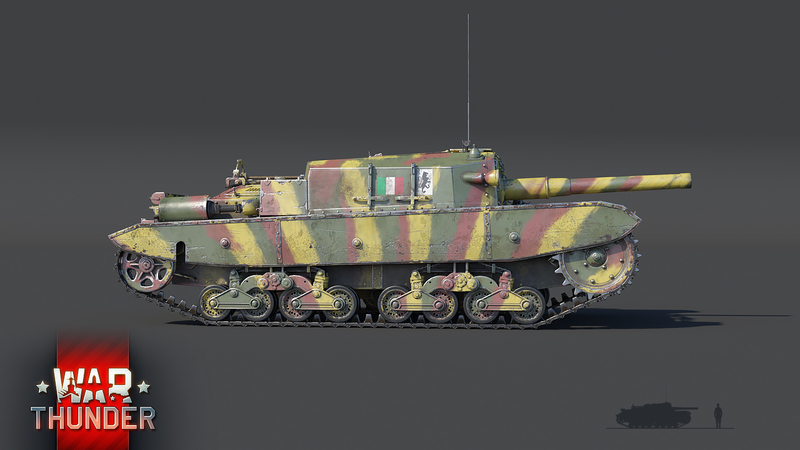 A production variant of the Semovente 105/25 M43 will become available for all testers of the Italian armoured vehicles at rank III. 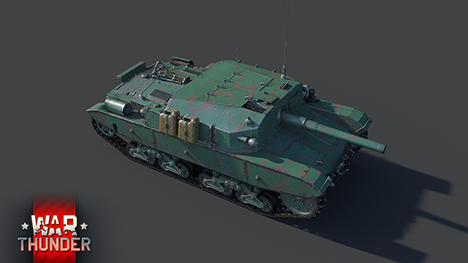 The premium version of the Semovente 105/25 M43 with “Leoncello” insignia is already available in our store as a part of a pre-order pack. Pre-order bonus: unique “Triarius” title. 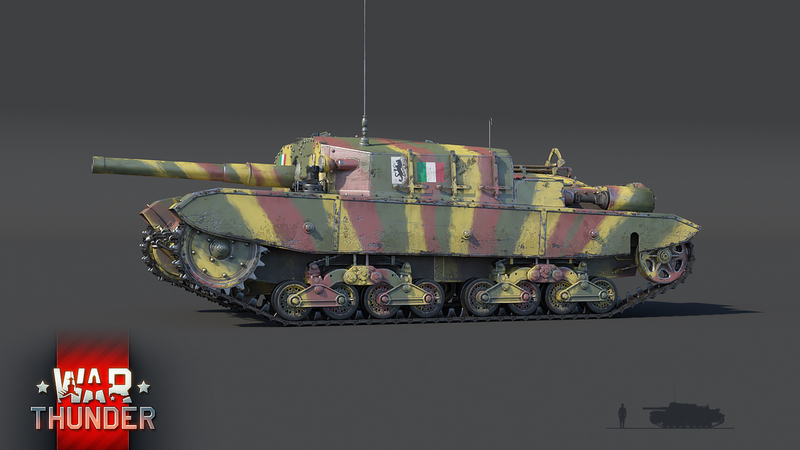 In War Thunder, the Semovente 105/25 M43 will await eager tankers at rank III of the upcoming Italian ground forces tree, arriving to the game as part of update 1.85. Reminiscent of the well-known German StuH, the Semovente 105/25 combines great firepower in a compact package, making for an effective tank destroyer at the lower ranks. Armed with a large caliber 105mm cannon, the Semovente 105/25 represents a serious threat to its enemies at the third rank. However, as any low-velocity cannon, the 105mm on the Semovente will perform best at short-range engagements, offered by urban environments for example. Although the ammunition choices might leave something to be desired in terms of penetrating power, they will most certainly make up for that in destructive power thanks to their large quantities of explosive filler. For more heavily armored targets, the Semovente 105/25 also has a HEAT round at its disposal, which is capable of dealing with even the most armored targets that the vehicle can face. Fun fact : Due to the vehicle’s low silhouette and stretched looks, the Italians nicknamed the Semovente 105/25 “Bassotto”, meaning dachshund. Clever positioning with the Semovente 105/25 will be of utmost importance for future commanders of this machine. Due to the fact that the 130 horsepower engine only allows the machine to reach a top speed of 38 km/h, players might want to avoid frequent repositioning and instead, take the time to get the machine into an advantageous position, where it can do the most good over a longer period of time. Clever positioning however, isn’t only important to mitigate the vehicle’s low mobility, but also to make the most out if its armor protection. Being a casemate tank destroyer, the thickest portions of armor will be concentrated around the vehicle’s front. The Semovente, with its 75mm of frontal armor, is certainly capable of taking a couple shots, but it’s a much wiser choice to use the vehicle’s low silhouette to hide it behind cover in order to avoid getting shot in the first place. 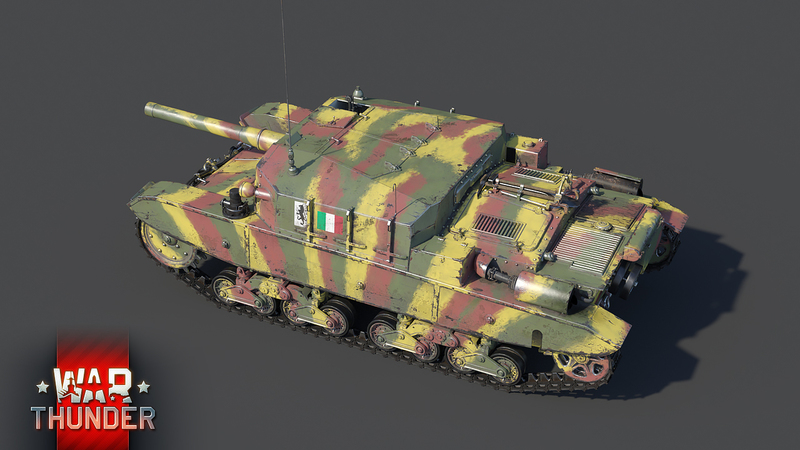 The Semovente 105/25 M43 will be available to all testers at the third rank of the Italian ground forces tree, coming to War Thunder with the upcoming 1.85 update. We highly recommend giving it a try as there’s rarely something as satisfying as netting a single shot kill from a high caliber gun and the Semovente 105/25 will most certainly provide that to fans of Italian armor! Until then, happy hunting commanders! My tiny creature ;) i'm so proud! Very funny. Too bad the Bassotto was equal and in many ways superior to the StuG. Can't wait to wipe the smile off of Limeys and Yanks faces once Ita tanks will roll out and their memes will have to crash against the reality of things. GenObt_Y_Akiyama, It's like the StuH 42 had a flatter face with less Horsepower and thinner armor. You'll have to excuse my doubts. Italy was building spg before they came in contact with stug. This is an evolution of those not a copy. Why on the tank there is the word "TerrOmoto" and not the correct word "TerrEmoto"? Love it and the 75/18 <3 great work guys! Will you give leoncello it's 75/34 shells instead of the gimped 75/32? Will you give Italy it's ep hesh all the way down to it's 47mm? lisFalling, Come on, you also get that signature high visibility camo like the P40. The Italian techtree will include Hungarian vehicles?